How can I share my registration form? Invite your members via social networks, email or even add a link in your website. You can have members and prospective members sign up to join your group using the Registration Form. You can share the form on your website, in your social media and via email. 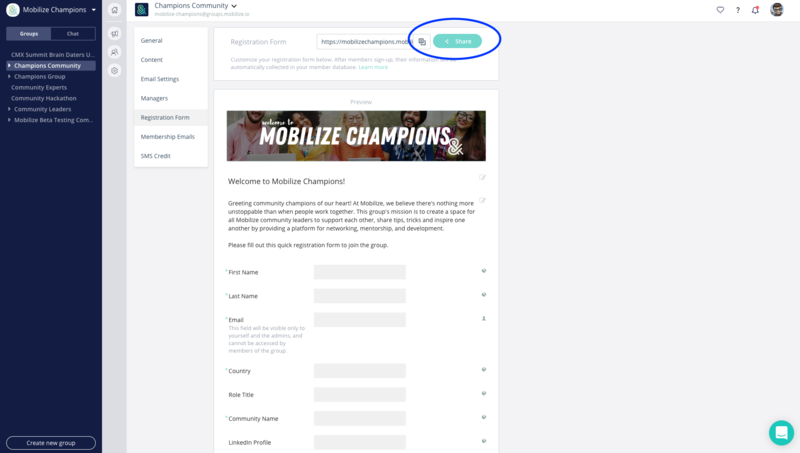 To share the form, go to your Group Settings and click Registration Form and Click the Share button at the top of the form:. Copy and paste the URL in the pop up window to recruit new members and have people sign up! You can share it on social media, add it as a link in your website or send it in an email. Members that are declined will not receive a notification of their declined status. 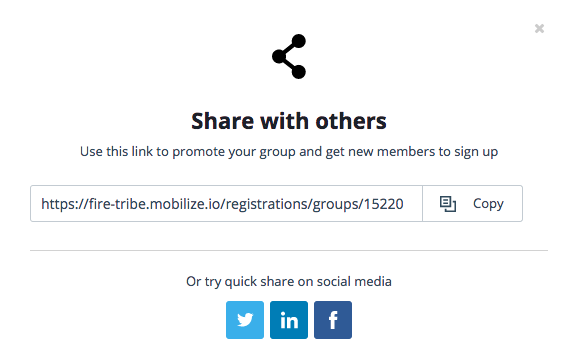 Members that are approved will only receive an auto message from the platform showing them the URL of your group and the option to bookmark it.